Hans van Willige (1964) is fascinated by the innovative ideas of Willie Smits to restore the balance between man and nature. These innovations are universal: what works in Indonesia is highly relevant to other areas in the world where the tropical rainforest is under pressure. Hans has been actively involved with Masarang and Indonesia for some time. In recent years he has visited Willie and the Masarang projects on Sulawesi and Kalimantan several times. In addition his wife Angel was born on Java and his student children all contributed as Tasikoki volunteer. 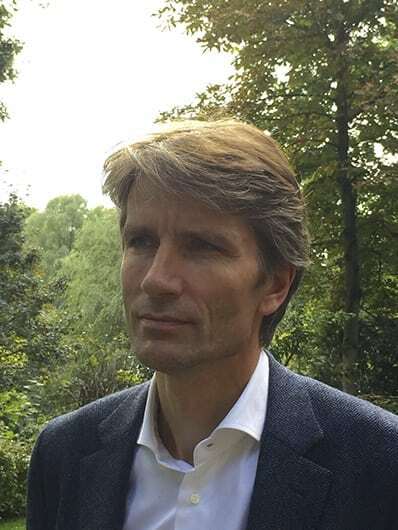 After the Erasmus University and the Royal Netherlands Navy Hans worked as a consultant at McKinsey and he worked in various international positions at Nike. Subsequently, he has spent his time and energy on a range of entrepreneurial ventures with ‘a heart and a soul’. In this sense, a passionate organization like Masarang fits perfectly into the list. From August 2018 Hans is the new chairman of the board. Wim is a ctive as a volunteer for Masarang since June 2012. His first encounter with Willie Smits was through the book “The thinkers of the jungle”, that hit him. Not only because of the beauty of the thought concepts of Willie, but also because of the terrible deforestation and the degradation of the biodiversity of the past 20 years. A theme that has troubled him since his childhood. When Willie advertised for Tasikoki, the animal shelter centum on Sulawesi, at a gathering in the Netherlands, Wim did not hesitate and went there to help. It was a great experience! Wim is a biologist and works at Rijkswaterstaat, where he is consultant in the field of soil policies (management, sanitation, and research). In the past he has advised companies in this field, he has done several years of research at the university (at the interface of cell biology and biopolymers). During a 15-month trip in South and Central America, “he rediscovered his love of nature, and there he saw the relationship between extreme wealth, poverty, deforestation and corruption exerts its devastating effect on everyday life, and the future put our planet at risk. Since J une 2012, Esther works as a volunteer for the foundation Masarang International. She was like many Dutch inspired by the Dutch TV programm “The reunion” in which Willie Smits told his story including the animal rescue center Tasikoki. That same year, in October 2011 she traveled for a month to Tasikoki to volunteer there. This was an indescribable experience and she was surprised how much fun it is to work with animals and especially with animals that we do not directly encounter in our daily lives here in Europe. Furthermore Tasikoki is a very idyllic spot and she has enjoyed the intense nature there. In 2012 came the opportunity to work for Masarang International. Then came back the same energy that she had experienced in Tasikoki on Sulawesi. The strong story of Masarang about how to monitor, maintain and reforest nature in co-operation with the local population speaks to her mind. In everyday life, Esther works as a freelancer and put her services in several projects as a project manager and planner. Since 201 5 Rowena is working for Masarang International wherever she is needed. When watching a Dutch TV program “The Reunion” in which Willie Smits was in the spotlight, she decided to actually do something for the endangered wildlife. As a volunteer every Friday she takes care of traumatised Chimpanzees at ‘Stichting AAP’ in Almere and 2 times a year she travels to Wildlife Rescue Centers ‘somewhere’ in the world to work there for a couple of weeks also as a volunteer. Also in the Tasikoki Wildlife Rescue Center, founded by Willie Smits, she worked for several weeks. With her own foundation ‘Rowena Goes Ape’ she raises money for projects and organisations dedicated to the cause. In addition she blogs about the various issues related to the cause and is very active on social media. Having worked in Rescue Centers in Asia she saw with their own eyes the impact of the large-scale deforestation, mostly by the oil palm industry. Since then she is committed to Masarang. In everyday life Rowena works as a communications manager at a municipality in South Holland. In December 2010 Masarang International was founded in the Netherlands, with its aim to promote awareness of the projects of Masarang Indonesia and raise money for them. All the board members and collaborators of Masarang International are volunteers and receive no expenses or salary.